A juvenile wood stork hunts the edge of the freshwater lagoon at Huntington Beach State Park in South Carolina. As it grows into adulthood it will lose the feathers on its neck and head. 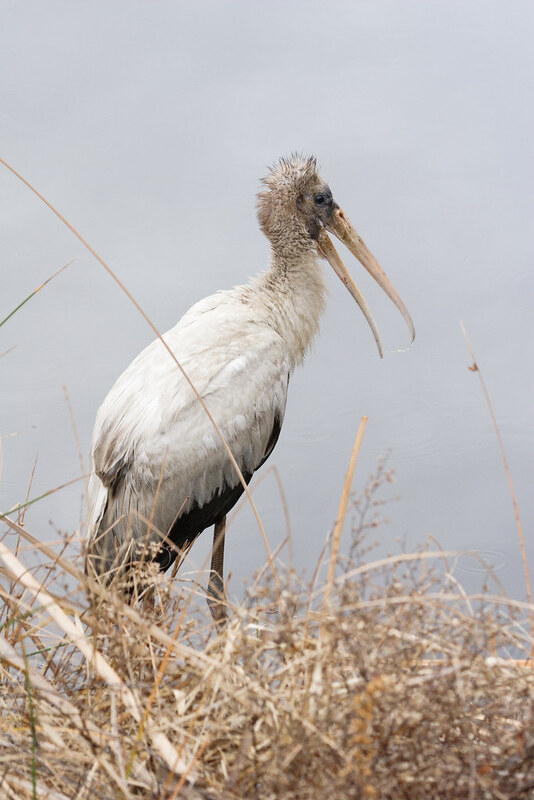 This entry was posted in Birds and tagged Huntington Beach State Park, Murrells Inlet, South Carolina, wood stork. Bookmark the permalink.